﻿﻿Mud and dust can cause regulatory and safety issues that impact productivity and efficiency. In addition, wet, muddy roads that can't support traffic stop work entirely and cause their operators maintenance problems. L&Q's product line addresses all of these problems with ROAD-HARD, ROAD-HARD Dust Control, and TerraZyme. ​Finding cost-effective and environmentally acceptable solutions to these problems has proved nearly impossible... until now. Maintain dry, hardened, dust-free roads. 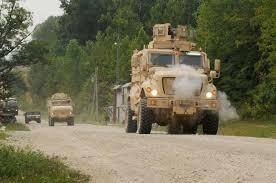 Transporting troops and materiel at reliable speeds, without accidents, is key to military operations and security. ROAD-HARD and ROAD-HARD Dust Control are quickly applied and can stand up to prolonged, heavy traffic. Repairing potholes and maintaining culvert beds and ditches is easily done using ROAD-HARD. Employment drives political stability and well-being. 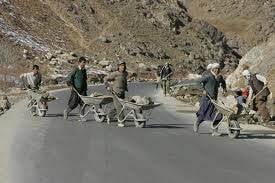 Roads are the key to increased commerce and wealth. ROAD-HARD treats soil to maintain a firm, water resistant surface. Added at 2% of the weight of the soil, it saves on logistics and can be transported and applied at remote locations.